During a recent lunch with a successful investor, he spoke exclusively about American history and the cyclicality of markets”. A short story about what happened to the U.S. economy since the end of WWII. When in doubt, follow the formal rules of correspondence. 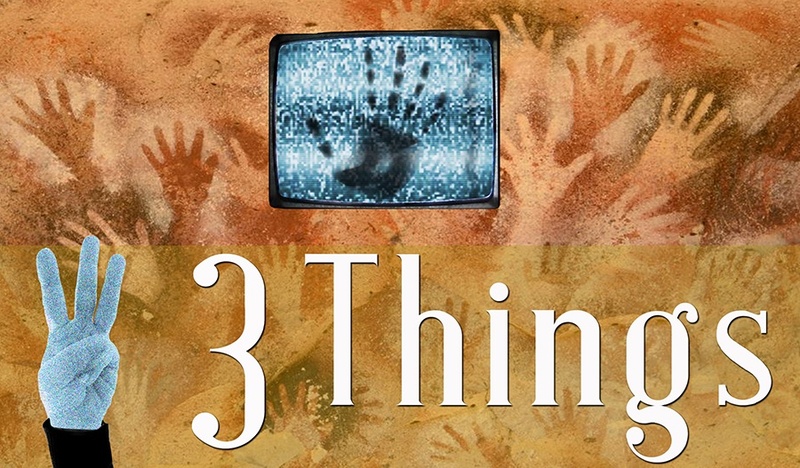 The first sentence of your email should clearly state its purpose. State clear deadlines in your emails. Pick one important thing, then start. Try focus sessions (also called the Pomodoro technique). Striving for perfectionism can get in the way. SAGE Serendipity: Move over Macy balloons, there’s a new duck in town. 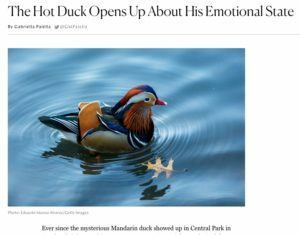 Have you heard about NYC Central Park’s Mandarin duck? He arrived in October, and people have been lining up to see him. He is a beauty. Thecut.com has a nice video of him swimming in the snow.